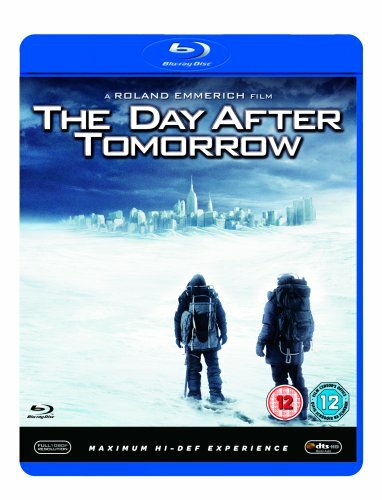 Anyone looking for any kind of realistic consideration of the problem of climate change is in completely the wrong place with The Day After Tomorrow. Employing scientific conventions and explanations that you could rightly describe as ‘ropey’, it nonetheless does manage to deliver an entertaining slice of science fiction, and some high concept blockbuster fun. Directed by Roland Emmerich, whose previous examples of spectacle cinema include Independence Day and Godzilla, The Day After Tomorrow sees a new ice age dawning on the Earth, and in double quick time too. Caught in the midst of it all are Jake Gyllenhaal and Dennis Quaid, as a separated son and father, with the former in New York and the latter in Washington. Quaid’s climatologist sets off to find and rescue his offspring, across a desperate ice-laden wasteland replete with umpteen threats along the way.